The Kaltura video platform has a new trick: lecture recording. 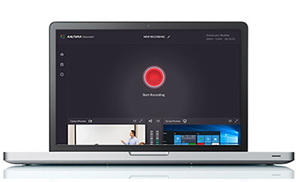 Kaltura Lecture Capture allows instructors to start recording with a single click — no complex setup or learning curve required, according to the company. The Windows-compatible software can ingest media from any recording hardware; it captures content from cameras and screen captures in full HD (1080p) resolution. The resulting video automatically flows into the company's flagship video platform for publishing, management and reuse. "As video rapidly makes its way into every function across campus and beyond, schools are looking for more centralized and integrated video solutions, to increase efficiency, cut costs and enable more engaging learning experiences," said Ron Yekutiel, Kaltura co-founder, chairman and CEO, in a statement. "We are now excited to introduce our next generation lecture capture solution that provides an open, flexible and far more user-friendly alternative to the traditional capture solutions in the market." With the addition of Kaltura Lecture Capture, the company's video management portfolio now ranges from lecture capture, personal capture, video on demand and live broadcast solutions to the Kaltura-powered video portal. For more information, visit the Kaltura site.